This charm bracelet is made with linked sterling silver rings and Swarovski crystal pearls. 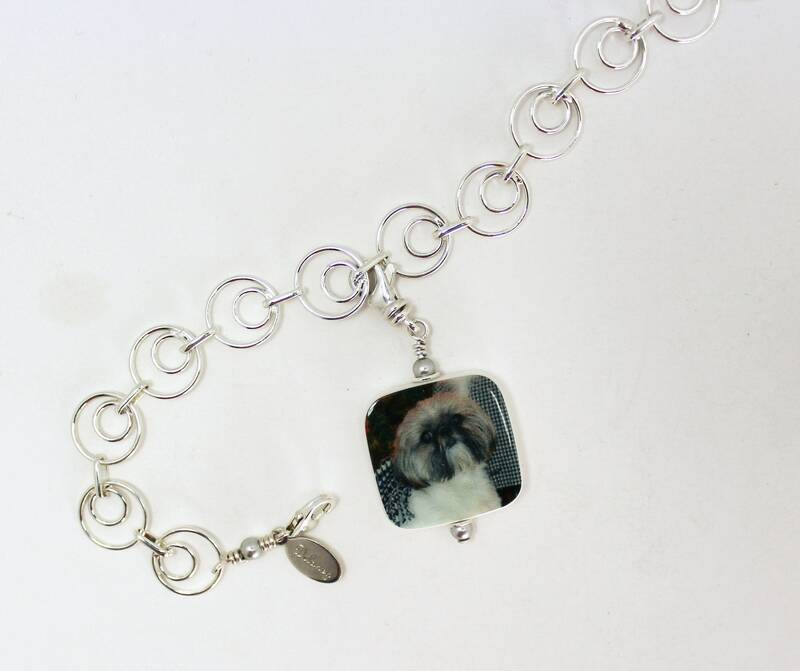 The bracelet shown here measures 7" and has a 1" sterling extender chain for your most confortable fit. 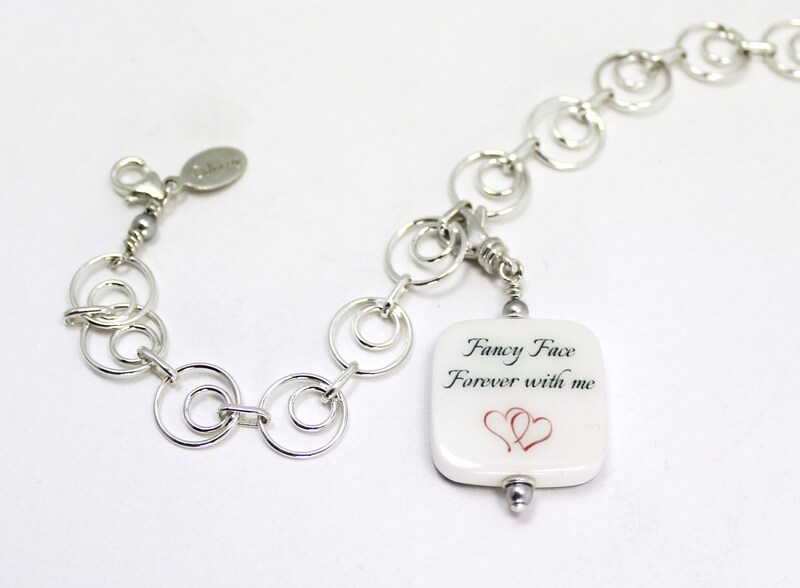 This dangling photo charm has a picture on one side, and a sweet message on the other. It measures .75" X .75" and dangles from a swivel lobster claw clasp. You can use 2 images, or have a custom text image designed for one side with a special message as shown above. 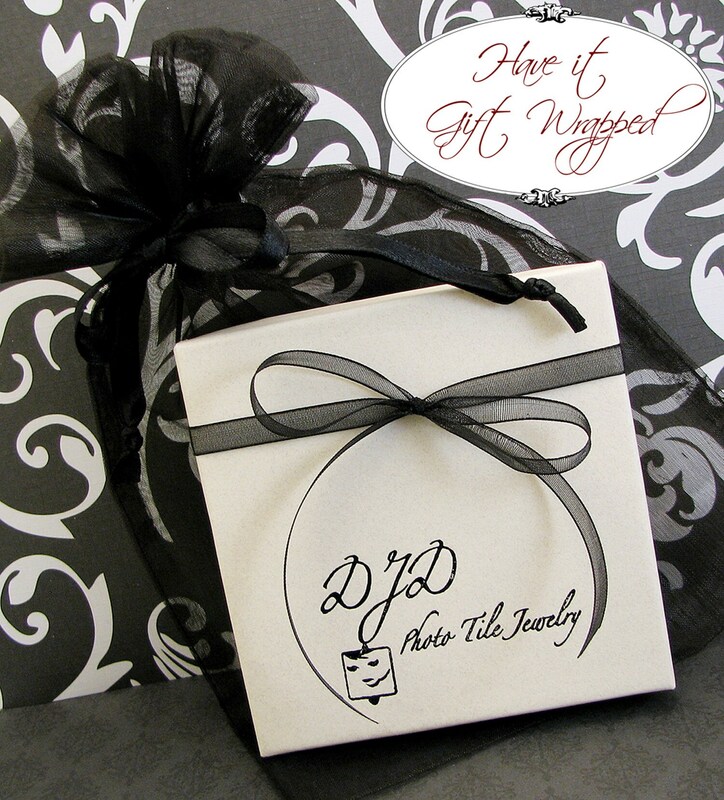 Additional charms may be added; just send your request for a quote to DJD [!at] Q.com.